Dr. Joyce Gerardi, is a pioneer in the use of Veterinary Regenerative Medicine and Surgery with a specialized focus on “Serving the Servants” through Certified Service and Assistance Animals. Dr. Gerardi is currently studying as a Masters Student at the Chi Institute of Traditional Chinese Veterinary Medicine. Her goal of study is using Regenerative Medicine therapies combined with Traditional Chinese Veterinary Medicine to advance treatment goals in treating and managing animal pain. Dr. Gerardi is currently working with several biotech companies to test new diagnostic equipment devices and offer new treatments options for her patients by conducting approved clinical trials in the new medical facility in New Bern, N.C. Dr. Gerardi has completed advanced training and completion of the following degree certifications: Certified Veterinary Acupuncturist (CVA), Certified Veterinary Food Therapy (CVFT), Certified Veterinary Chinese Herbalist (CVCH), Masters Degree In Traditional Chinese Veterinary Medicine (MS-TCVM pending). Dr. Gerardi was the recipient of the 2012 Heska Veterinary Inspiration in Action Award. 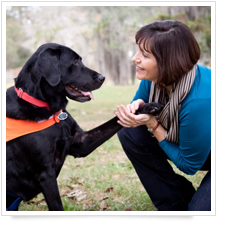 Joyce Gerardi DVM CVA is CEO-Founder of Kindred-Canines In Motion and is dedicated to helping persons with a disability who depend on a Service/Assistance Animal to stay active and in “motion” with veterinary acupuncture in Eastern NC and Central FL. 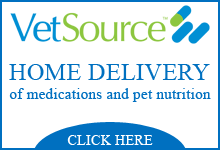 Dr. Gerardi began her initial Veterinary education at the Atlantic Veterinary College in Prince Edward Island, Canada and earned her doctorate degree in Veterinary Medicine from Iowa State University, College of Veterinary Medicine. She completed intern rotations at the Animal Medical Center in New York City and the College of Veterinary Medicine at the University of Edinburgh, Scotland with advanced training in the disciplines of Canine Ophthalmology and Neurologic diseases. Dr. Gerardi completed her undergraduate studies at Stony Brook University and Cornell University in New York. During her undergraduate training she served as a supervisor of the Small Animal Intensive Care Unit at the Veterinary Teaching Hospital at Cornell University. Dr. Gerardi has experience and training in both canine and equine bio-mechanical joint disease and gait analysis through her research at Cornell University’s Equine Performance Testing Center. She has conducted studies involving the use of a high-speed treadmill with use of video endoscopy, airway pressure determinations and lameness evaluations and assisted in developing arthroscopic surgical techniques for the transplantation of in vitro grown chondrocytes in horses with degenerative joint diseases. Dr. Gerardi has published and co-authored several Veterinary research and Clinical journal articles. 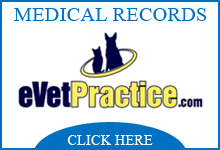 She actively practices Veterinary Medicine in both the States of Florida and North Carolina. She is an active mentor to both Pre-Veterinary and Veterinary students as well as serves as volunteer Clinical Practice adjunct Professor for Veterinary students at North Carolina State College of Veterinary Medicine. 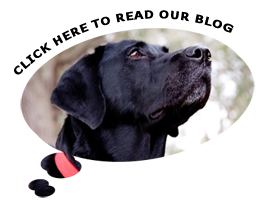 Dr. Gerardi is a Certified handler of a Hearing Alert Assistance Dog, “Mr. Moore”. She is an active speaker and guest lecturer to local church groups, American Kennel Clubs and civic organizations. She is active with the deaf community in Florida and has a heart to serve those who cope with the challenges of physical disabilities. Dr. Gerardi encourages innovations through Veterinary Regenerative Stem Cell Medicine to enhance the impact of the Human-Animal Bond.